Bluebonnet Circle will become one of multiple “urban villages” planned for Fort Worth, with sidewalks between shops, more parking spaces and public transportation. For Bluebonnet residents, the most significant change could be making the circle more pedestrian-friendly. Currently, the circle has few sidewalks, and cars rarely yield to pedestrians trying to cross the street, deterring people from walking about the area, residents said. Work on the circle began in February and is scheduled to be complete by August. It will replace existing water lines and reconstruct the street in concrete, said Jeff Allen, communications specialist for the Fort Worth Department of Transportation and Public Works. The inside lane of the traffic circle will be painted and turned into parking for businesses in the circle and visitors to the park. Sixty to 80 parking spots will be created from the existing inside lane, Watts said. The new parking spots will allow for more people to visit Bluebonnet Circle without the hassle of tight parking. “I feel like this will really help businesses in the circle because a lot of the time there isn’t much parking here, especially on football days,” said Allison Wheeler, a Bluebonnet resident and employee of III Boutique. TCU student and Bluebonnet resident Amanda Smiley said the circle is somewhat rundown, and more development could make it safer. “There isn’t a whole lot going on there, so I think that if there are more restaurants and exciting things going on people might feel more safe,” she said. As part of the Urban Village project, Fort Worth is also building 270 residential units north of the Bluebonnet Circle Urban Village. 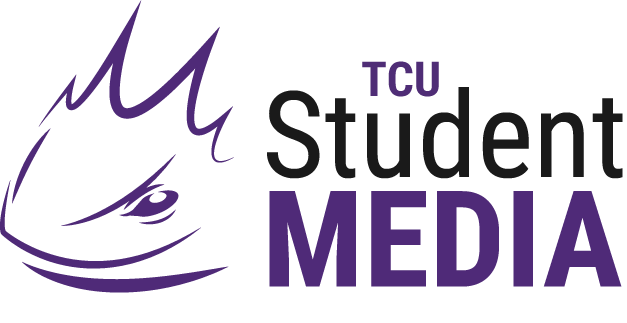 While that is not the focus of the project yet, some TCU students said they are concerned about what will happen to the current housing on University Drive. Funding for this project comes from the city’s 2014 bond program. Proposition one of the 2014 bond dedicated $219,740,000 to street and transportation improvements. The Bluebonnet Circle project is estimated to cost $3,860,097. Katie is a junior journalism major with a political science minor from Lake Oswego, Oregon. When she is not reporting you can find her watching college football with her friends, coaching Special Olympics or giving a campus tour.